Tickets are going quickly for our spectacular musical, Alice in Wonderland. They are on sale from 8:30 to 9:00 and 3:00 to 3:30 outside the office. Admission is by donation. Please note, ALL South Slope students will be in ALL performances! 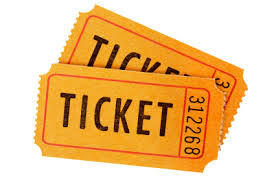 If you are unable to obtain tickets on one of the nights, please make arrangements to drop off your child around 6:00 p.m., and pick them up by 8:00 p.m.